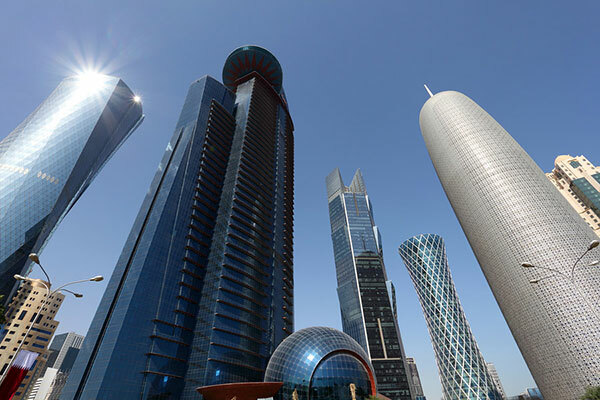 Qatar is reducing emphasis on direct investment. Qatar's sovereign wealth fund is reducing its focus on investments in Europe and placing more of its money with external managers following an internal review, sources familiar with the matter told Reuters. Qatar Investment Authority, estimated by industry tracker Sovereign Wealth Fund Institute to hold $256 billion of assets, is known as an aggressive investor in high-profile European assets such as the Shard skyscraper and Harrods department store in London, as well as Credit Suisse and Volkswagen . But its review, which follows sharp falls in the prices of some of the European assets and a plunge in oil and gas prices that slashed Qatar's export revenues, led to an understanding that QIA is "overcommitted" in Europe and should put less emphasis on direct investment, the sources said. Instead, the QIA is placing more money with external managers, who have been told that investments should be spread out globally but particularly in Asia and the United States. The sources, who are familiar with QIA because of close business links to the fund, declined to be named because of commercial sensitivities. A public relations agency representing QIA said the fund had no comment. The sources said one of the reasons for changing strategy was the poor performance of QIA's investments in German carmaker Volkswagen and London-listed commodities trading house Glencore. Shares in Volkswagen, in which QIA is the third-largest shareholder with a 17 per cent stake worth around $13 billion at market prices, are down 52 per cent from their March 2015 peak after the company was caught cheating on diesel emissions tests. QIA owns 9 per cent of Glencore, a stake worth about $3 billion at market prices, according to Thomson Reuters data. Glencore's shares are down 49 per cent from their 2015 peak because of concern over its ability to cope with low global metals prices. In the wake of these debacles, "QIA's days of glitzy investments are numbered," said one of the sources. The sources said, however, that there was no indication that QIA would reduce its existing stakes in big European firms such as Volkswagen and Glencore. The secretive fund does not disclose many details of its asset allocations around the world. Last September, it opened an investment office in New York and said it planned to invest $35 billion in the United States over the next five years. Two of the sources said QIA was keen to strengthen its involvement in "responsible investing", a style of asset management which emphasises protecting the environment, consumers and human rights.